Let’s face it, ensuring your family is safe requires far more than just a physical alarm system these days. Although technology has delivered smarter security tools, it has also created a mountain of new opportunities for criminals to attack. Crime is no longer one dimensional which means we need a multidimensional approach to keeping our loved ones safe in South Africa. Secure Rite shares 10 Vital security layers we should all have in place today. It is a fact that most burglaries happen during the daytime when people are at work or school. The morning you wake up with the flu is maybe the day that the thief who’s been casing your house decides to pay a visit. He won’t be bringing chicken soup, so there’s no reason to make it easy for him. All silliness aside, an alarm system is there to DETER as a first objective and secondly to ALERT if there has been an intrusion. Unfortunately, with the onset and rise of violent crime in our neighbourhoods, an alarm system is no longer a luxury, but an absolute necessity. Remember, it only takes one time … why risk it? It’s the middle of the day and you’re home sick when you hear a strange noise coming from the back door of your home. You peep out the window and to your horror, you see two intruders trying to break the door lock. You freeze but you remember your alarm panic button. You push this button immediately and your trusty alarm system siren begins to sound…. What now? An armed response team provides an immediate in-person armed response for businesses and homeowners. When your burglar alarm goes off, a monitoring centre confirms the emergency scenario with you as an officer is dispatched to your home. An armed response service gives you the peace of mind that someone will respond to your distress call. Ensure your armed response service provider is based locally and has a strong monitoring and response reputation. Closed-Circuit Television (CCTV) is becoming increasingly popular as both a deterrent to crime and an invaluable source of evidence if anyone breaks the law. A good CCTV system can offer early detection and acts as an extra layer of security, especially if your property has many ‘nooks and crannies’. For cases like robberies or other crime events, the footage recorded by in-home cameras, serves as indisputable evidence of the crime committed. This certainly assists police in putting these criminals behind bars. Though the price of a CCTV system depends entirely on your requirements, image quality, number of cameras, remote connectivity and so on, it remains one of the crucial security layers to add to your home and business. The sole purpose of a motion sensor – and its biggest benefit – is providing defined perimeter security. If your alarm system is somehow breached without alerting you to an open door or window, your motion detectors will sense your intruder and sound the alarm long before an intruder reaches a door or window. External motion sensors or security beams exist as an early detection tool which could buy you valuable time in the event of a possible intrusion. Whether you are part of a neighbourhood watch, or you’re simply keeping your neighbours informed, getting to know everyone opens up the channels for local safety. Maybe you’re leaving town and you ask a neighbour to keep an eye on you home, or maybe you need somebody to watch your kids or a pet. The point is, the better you know your neighbours, the safer the neighbourhood becomes. You can’t put a price on trust. Security solutions must be as mobile as we are. Whether you’re out hiking, jogging, shopping or taking the dogs for a walk – it’s important to have help if and when you need it. Technology has delivered many alert options in the form of Mobile Emergency Apps. Enquire with your home security provider about any mobile panic buttons on offer. This is a handy tool for the whole family. For a lot of people, being able to protect yourself in all situations is as much a confidence booster as it is a reassurance. A reassurance that can only be gained through any form of self-defence classes. Today, when people think about self-defence classes, they tend to think about women and children. However, self-defence classes and practices such as karate, boxing, Jiu jitsu, Krav Maga etc. are for everyone. Aside from the physical training provided, self-Defence classes equip us with the mental capacity and thought process needed to react and think appropriately in a time of distress. The brain is a muscle that, like any muscle, can be trained to perform optimally. Self-Defence classes are a great life skill for the whole family. A ‘protocol’, simply defined, is a set of defined actions or behaviours that, if implemented consistently in the same pattern, will deliver a desired result. Sounds almost army- like, right? well, why not? Some of us already have protocols in place without really knowing it. Mothers are natural ‘protocol creators’ – constantly reminding children to confirm if they have arrived home safely and stressing when protocol is not followed. This is not a foreign concept in our homes. Given the increase in violent crime and attacks in our country, we believe that protocols like ‘what to do if there is an intrusion at your home’ or what to do if you are hijacked with your children in the back seat’ are absolutely crucial. It is certainly not an easy thing to think about, but we encourage a proactive view on protecting your family. Sharing information and images via social media is a part of daily life for many children and teens. Social media allows kids to communicate with one another, and to document and share what they are doing in real time. The networking power of social media means that it is not uncommon for kids to be connected with people they have never met in person. This is a risk to their safely. Whether it’s via a text message or a smartphone app like Instagram or Snapchat, today’s children and youth are able to share personal information far beyond what their parents could do when they were young. It’s important for parents to learn about the different technologies children are using to help keep them safe online. Parents, we urge you to make social media your business; it has become the virtual playground for predators to prey on our children. Get involved and aim to understand this online world we know so little about. Aside from social media groups and getting to know your neighbours, make sure you are plugged into news and updates from your local neighbourhood watch. The more we know about the ‘happenings’ in our immediate community, the better we are able to safeguard our loved ones and personal property. Security is so much more than just a panic button and an alarm pad. At Secure Rite, it is our mission to protect the families of the Helderberg basin and surrounds through our tailored security solutions. Because threats to safety stretch so much further, it is our duty to keep our community aware and alert to dangers out there. 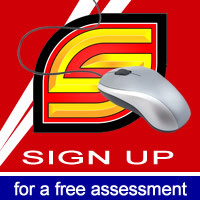 Contact us to arrange a free assessment of all your personal and business security needs. Tel: 0860 10 30 99.